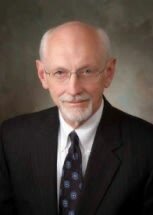 Barry O. Hines is a sole practitioner in Springfield, IL. Mr. Hines concentrates his practice in the areas of wills, trusts, estate planning and administration, as well as agricultural law and commercial real estate. He received his B.S. degree from the University of Illinois and his J.D. degree from the University of Illinois College of Law. Mr. Hines has authored legal publications including Sales, Exchanges, Auctions of Farm Real Estate (1983), Overview of Probate (1984), Understanding and Planning for IRC 2057: It's Not Just for Farms (2001), Election Law: Media and Broadcasting (2002) and "Land Trusts, Succession Planning, & Other Estate Planning Issues Involving Farmland" all for the Illinois Institute for Continuing Legal Education; Section 1031 Real Estate Exchanges (2005) for Lorman Education Services; Hot Topics in Agricultural Law (2008): Cash, Variable Cash, Production & Share Leases: Issues & Forms, Donald L. Uchtmann & Barry O. Hines, and "Illinois Boundary Law" (2016) and "Private Rail Crossings" (2019) for the Illinois State Bar Association; and taped for the ISBA Quick Take Video Series a segment on Illinois Boundary Law (2017) and Farm Leases (2019) and for the National Business Institute, "Planning for a Full or Partial Outright Sale or Gift of Farmland" (2013), "Agricultural Use Valuation,"(2013) and "Probate Litigation" (2015). He is a member of the Illinois State Bar Association Ag Law Section Council and Chair of its Continuing Legal Education Committee. In 2014, 2015, 2016, 2017, 2018 and 2019, Mr. Hines was recognized as No. 1 in the Top Ten Agricultural Leading Lawyers in Illinois. In 2015 and 2019, he was recognized as No. 1 in the Top Ten down-State Real Estate-Related Leading Lawyers in Illinois and No. 2 in 2018. Additionally, he has been included as one of the Top One Hundred Leading Down-State Business Lawyers in Illinois, and top One Hundred Leading Down-State Commerce Lawyers in Illinois, all by Leading Lawyers Magazine surveys. In 2012, 2015 and 2018 he was appointed as a member of the Board of Directors of the Abraham Lincoln Presidential Library Foundation. Mr. Hines is experienced in contesting matters involving estates and real property issues and, earlier in his career, First Amendment matters, and during his career has successfully argued several cases before the Illinois Supreme Court and the Fourth District Appellate Court.